The Popals were at a wedding in California when their three children broke the news. ‘They said they got a call from a real estate agent and I said, ‘An agent for what?’’ recalls Shamim, the family matriarch. Shamim and Zubair’s children were in college at the time—one at Georgetown, the others at GW. After many trips to visit family in Europe, they realized there were no European cafés in town. They’d pitched the idea to their parents, promised it wouldn’t affect their schooling—and then secretly hired an agent. Her husband was an easier sell. Zubair had a background in hospitality, working in their home country of Afghanistan for InterContinental Hotels for years. When the Soviet-Afghan war began in 1980, the Popals moved to the Persian Gulf area of the U.A.E. for seven years—living out of nice hotels in Bahrain, Dubai, and Abu Dhabi. In 1987, the Popals moved to Springfield, Va. Zubair traveled to the U.S. before, but for Shamim and their 11, 10, and 7-year-old children, it was a blind leap of faith. ‘We came to Virginia because our children’s education was very important. We couldn’t afford private schools, and we heard Fairfax schools were the best,’ Shamim says. The transition was not easy. The Popals knew each other since childhood and were established in Afghanistan—Zubair in his dream job while Shamim took care of the children and a cook made all their meals. Hotel life was equally wonderful. In the U.S., Shamim had to learn to cook, navigate a new school system and find a job outside of the home for the first time. She accepted a position as an accountant at a private school, and Zubair found work at a Honda dealership. Now standing in the vacant Wisconsin Avenue space 15 years later, Shamim braced herself for potentially yet another. And yet six months later, Café Bonaparte opened. The Popal children had a clear vision for the dining room, and hired an architect and painter. Zubair and Shamim went every night to oversee the process. Their daughter, Fatima, became involved with the management of Café Bonaparte, and Shamim took over in the kitchen. When Café Bonaparte opened in July 2003, it was a labor of love for the entire family. The café quickly became a neighborhood favorite, and just three years later the Popals opened a second French café in Adams Morgan. A few years later, a third French café on K St in Georgetown. Their son, Omar, convinced his parents it was time to turn their Adams Morgan café into an Afghan restaurant called Lapis. They called a family meeting and named Shamim the new chef. Three restaurants later, the Popal children are still trying to convince Zubair and Shamim to push further. 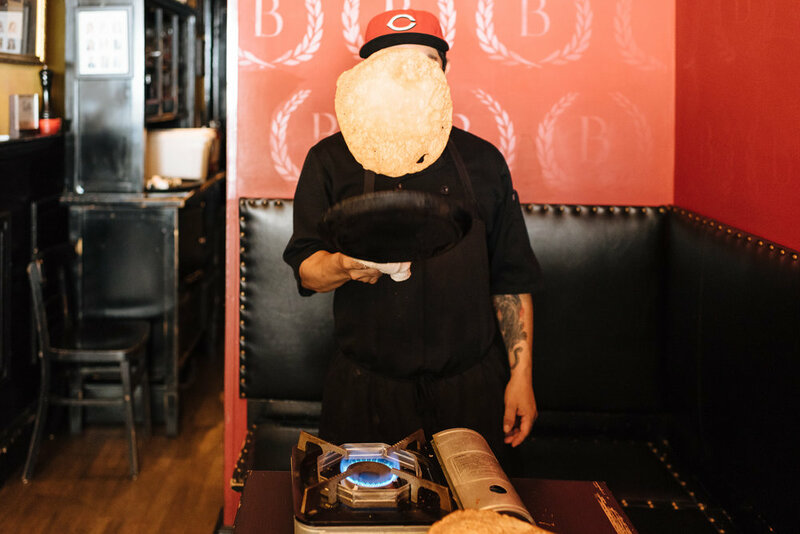 But their origin story remains at Café Bonaparte, the unlikely melding of two cultures that sparked a new American dream for the Afghani family.